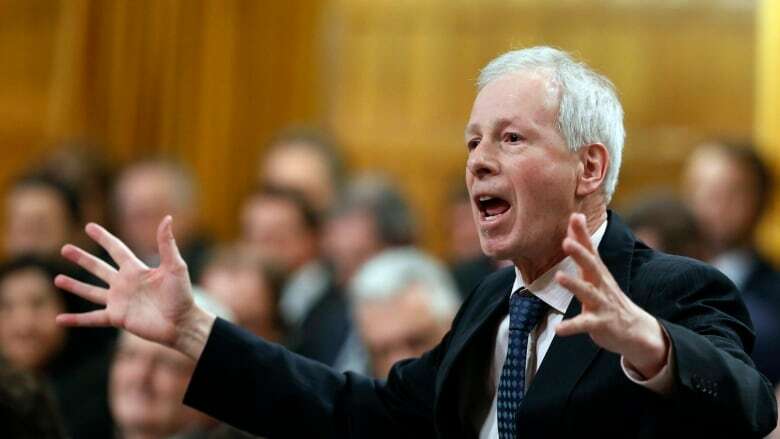 ​Foreign Affairs Minister Stephane Dion is travelling to Ukraine this weekend to express Canada's support for the eastern European country that lost the Crimean Peninsula to Russia in 2014. Dion announced the trip in the House of Commons on Wednesday as he faced a barrage of criticism from Opposition Conservatives about his decision to engage Russia more broadly. Dion said Canada remains a steadfast friend of Ukraine, but will be open to talking to Russia because it could serve Canada's needs, including in the Arctic where the two countries have shared interests. "Today, the United States is speaking to Russia. Europe is speaking to Russia. Japan is speaking to Russia," Dion said. "In what way would it help Ukraine if Canada never speaks to Russia, even about the Arctic?" Dion said Canada will also criticize Russia directly for its invasion of Ukraine and its interference in that country's affairs. Conservative MP Dean Allison accused Dion of "cozying up" to the regime of Russian President Vladimir Putin. "Could the minister of Foreign Affairs please explain why he is abandoning our Ukrainian friends?" Dion said "our foreign policy will stop being ideological and irrational and will be effective for our allies and for Canadians." His office said he planned to hold discussions with his counterparts this weekend in Kyiv. Earlier, Dion told the Commons the trip has been in the works for a while. "I am so pleased to go to Ukraine to express to the government of Ukraine the steadfast support of Canada for Ukraine, how much we deeply disagree with the invasion and interference of the Russian government in Ukraine," the minister said. "We owe so much to Ukrainian Canadians and we will always support them." There are about 1.3 million Canadians of Ukrainian descent, a group that is viewed as an important voting bloc. Former prime minister Stephen Harper and his ministers made numerous trips to Ukraine during their time in government.